Do you need professional party helpers, bar tenders, waiters or party help in London. 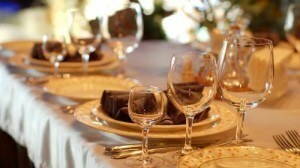 London Cleaner cleaning company can supply fully trained party helpers, waiters, waitresses, bartenders and bar staff. This gives you a chance to enjoy your own party or make that exceptional impression. Socialisation is one of the major needs of humans. There are various forms of socialisation that we can take up in order to fulfil this need. Once in a while, we all like to relax and get together with family and friends. Whatever the occasion,dinner parties and birthday parties are fun. Throwing a party is the most popular way of socialising. This is the main reason for the various parties that are held almost every weekend all over the place. Throwing a party is a very difficult job, as you run around getting things organised. Would it not be wonderful to have someone assist with the preparations and serving once the festivities begin? Party helpers, bar staff, bar tenders, party help in London are available for smaller intimate gatherings or larger events. But have you ever thought about the mess that is created after the party? Remember: Once the celebrations are over, London Cleaner cleaning company can assist in after party cleaning. After party cleaning can be a tougher job than throwing a party. Generally after a party, you find it difficult to get your home cleaned on your own. Therefore it is always advisable to leave your after party cleaning to the professional cleaning company. Check out our our commercial cleaning prices for all London areas. Please call our team to discuss your requirements on 020 8884 9142. Please contact us for more information about our after party cleaning London and professional cleaners London.